NIMHANS Bengaluru Recruitment 2018 24 Lower Division Clerk (LDC) Posts. Jobseekers can hurry up and apply for the NIMHANS Recruitment Notice 2018. The National Institute of Mental Health and Neuroscience is ready to accept online application forms for 24 positions in the Lower Division Clerk (LDC). Applicants looking for jobs in the central government can apply for NIMHANS Recruitment 2018 from January 9, 2018, until January 31, 2018. This is the best career opportunity for applicants seeking employment at the National Institute of National Mental Health and Neuroscience. To help applicants in this section, we provide NIMHANS Recruitment 2018 notification details, details of subsequent vacancies, key dates, official link, eligibility criteria, filing fee, salary information details, and how the following steps are presented. So, just scroll down this page and check out other updates for NIMHANS Vacancies 2018. Good news for candidates looking for jobs in the central government. Now the NIMHANS Recruitment 2018 notification is complete. Interested job applicants can fill out the application form in online mode. Officials from the National Institute of Mental Health and Neurosciences will receive the application forms from January 9, 2018, through January 31, 2018. Each graduate is a recognized University degree is required. We recommend that all candidates consult this page and complete the online application form. Job seekers who were fit for NIMHANS Recruitment 2018 should visit this page and take advantage of this unique opportunity.So check all the recruitment details work hard and break the selection rounds. We are here to provide complete information on the vacancies of NIMHANS 2018, see this article to the end very carefully. Full details of NIMHANS Recruitment 2018 can be found in this section. For more information, visit the official website of the National Institute of Mental Health and Neurosciences. NIMHANS has published the last message to fill 24 posts in the Lower Division Clerk (LDC)Posts. 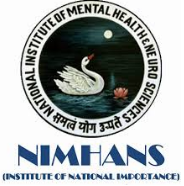 Interested candidates can apply for NIMHANS Recruitment 2018 before January 31, 2018. The Maximum age limit will be 27 Years. The selection will be based on the written exam and interview.